Methadone High Effects: How does Methadone Make You Feel? Methadone is a medication from the opioid class, generally used as a pain reliever. It is a narcotic similar to morphine or heroin, and beyond pain relief, it is used to help manage addiction and decrease cravings for harder opioids. As a narcotic, you can get high on methadone, and a methadone high is the same as getting high off of any other narcotic. What, however, does methadone feel like? Here are some things to know about the drug which causes devastating methadone side effects and painful withdrawal symptoms. What Does Methadone Feel Like? What are the Methadone After the High Effects? Methadone has been a part of medical treatment since World War 2. While it was used first as a pain reliever for those wounded in the war, people found it’s another use as a psychoactive substance, which meant they were getting high on the methadone that was used to treat them. This has been a concern since, then, but research was only done years later into what a methadone high is like, and what methadone did to the body. Methadone contains similar psychoactive substances to other opioids. The main active ingredient in it is dolophine, which is the main substance involved in people getting high on methadone. Dolophine is made of methadone hydrochloride, which is the narcotic part of the opioid, similar to Vicodin, whose main ingredient is hydrocodone. Methadone also contains inactive substances magnesium stearate, microcrystalline cellulose, and starch; inactive ingredients are things put in the medication that do not change the therapeutic nature of it, mainly binding agents, preservatives, or dyes. Methadone can be a useful medication in the treatment of severe pain, or also in use to help ease the suffering from addiction to other narcotics, but what does methadone make you feel like? Methadone works by blocking specific receptors in the brain, limiting how the nervous can take in pain, changing some metal perceptions, and curiously enough, blocking the receptors that also correspond with other opioid medication, dampening their effects and helping ease the suffering brought on by their addiction. Feelings of euphoria. A person taking methadone will often feel very good, very happy, and excited about things. This may take different forms, but the person will almost always be in a better mood and have more positive emotions. Sedation. The person on methadone will be more relaxed and sedate than usual and will likely even struggle to be motivated to do anything. This sedation does fight off anxiety, but it does not work for long. Drowsiness. This can be one way how to tell if someone is high on methadone as they will likely be tired and sleeping a lot more than average. While they may be normal in other regards, most likely their sleeping will take up most of the day. Relaxation. The relaxation is a capable agent in calming anxiety, but it does not last long and will have a rebound effective causing the person to be more nervous and agitated with the drug wears off. These are just some of the more common effects. People will often lose the sense of reality, may hallucinate, inhibitions will be lowered or nonexistent, and they will struggle cognitively as well, having difficulty thinking, concentrating, or remembering necessary things. The danger can be when inhibitions are lowered, people high on methadone will often be reckless, make poor decisions that can lead to jail time, injury or death. Methadone is often given in pill or liquid form. As opposed to heroin, it is not usually injected. It’s a real danger, however, is when people crush the pills up and snort them. This is often thought of as the best way to take methadone to get high because by snorting it, this will get the methadone into the bloodstream faster, and it will impact the user that much quicker, often within 10 minutes. The danger is that it is easier to do damage to the nervous and cardiovascular systems this and increases the risk of overdose with how quickly all the methadone gets into the system versus a slow, steady release when taken orally. A methadone high can start out feeling great, but then the person using will eventually come down from it. There are after effects from the methadone high that should be known as well. First, the effects of methadone are like heroin but less intense and longer-lasting (effects can last up to 24 hours, while heroin’s effects last approximately 2-3 hours). Methadone can stay in the body longer and may be present in the system up to 5 days later. How long does a methadone high last can also depend on the size of the dose and the person taking it? Like all medications, the longer and more frequently a person takes it will raise their tolerance for it, meaning it will not last as long and the effects will not be as strong as the last time. Dry mouth and dental problems as methadone interfere with the production of saliva. This may also cause an increased thirst as well. Constipation. Methadone and all opioids prevent the bowel from absorbing water making the stool hard. Headaches, dizziness, and nausea. 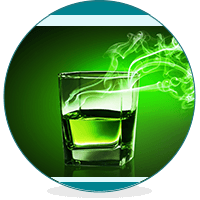 Being a psychoactive substance, methadone will cause difficulty with balance and the ability to focus. Cognitive Problems. Difficulty thinking, focusing or remembering things is common both under the influence of methadone and after the methadone high is over. Mood Changes. Unexplained or out of the ordinary mood changes are also seen in most psychoactive substances, both after ingestion and after the high is gone. Fatigue. When the methadone has left the system, people often report feeling tired, restless, or uneasy. Everyone’s body is different and has different biochemistry to it. Drugs can react very differently from one person to the next. It is important to follow up with your doctor or reach out for other help if the after effects of using methadone are troubling, scary, or if you feel your health and well-being are in danger. Final Thoughts on the Methadone High? 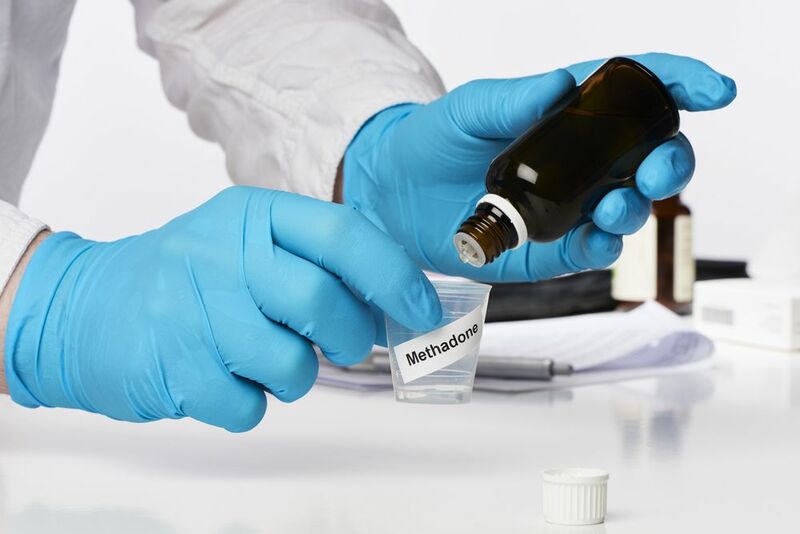 Methadone can be a lifesaving medication for those suffering from an addiction or chronic, severe pain, but it has tremendous potential to do damage as well. It works quickly and can stay in the body longer than other opioids, but it also presents the danger of addiction and the risks that come with that. Like all medications, it has its positives, as it treats the pain well, and leaves a sense of calm and euphoria, but it also can cause problems due to lowered inhibitions and muddied thinking. In all methadone is like all opioids, they present a great benefit to people suffering, but can also be the cause of people suffering. Getting high on methadone can be a very dangerous thing. If you or someone you care about are struggling with a methadone addiction, please call (888)-459-5511 to talk with a knowledgeable representative about options for help.